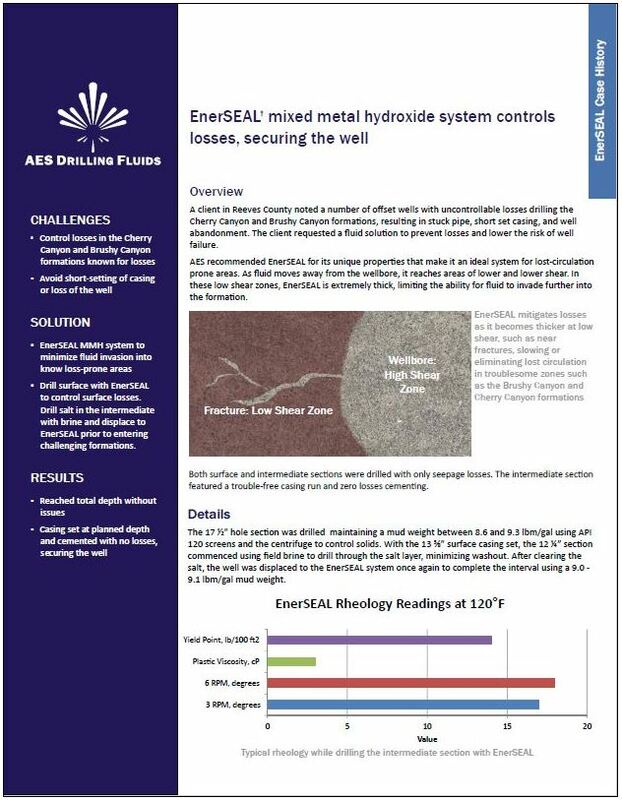 EnerSEAL is an advanced mixed metal hydroxide (MMH) water-base drilling fluid with superior stability and performance over previous systems. Using a proprietary chemistry, EnerSEAL delivers challenging wells where MMH technology performs but old systems could not deliver. 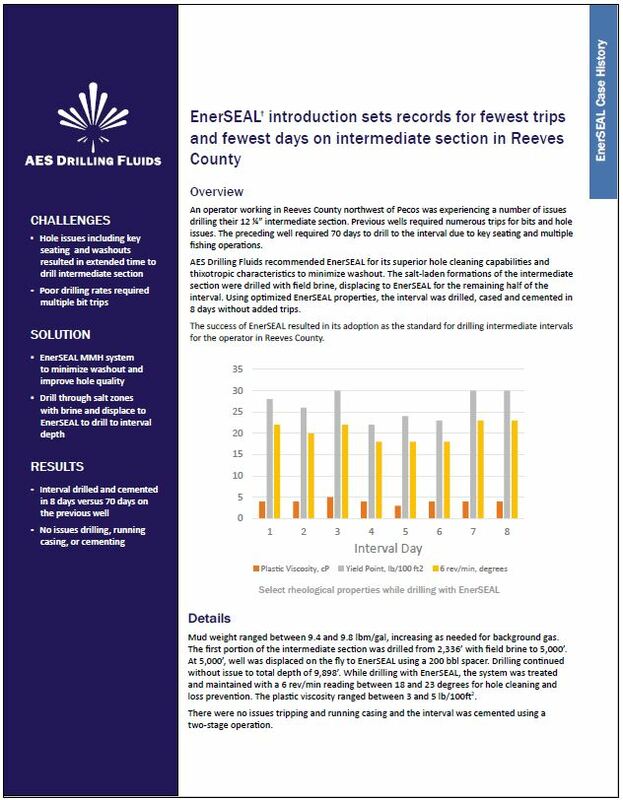 EnerSEAL provides ideal flow proper􀆟es for drilling: superior cutings suspension, low surge and pump pressures, a unique ability for the fluid to dramatically reduce formation losses, in-gauge wellbores, reduced torque and drag, and increased solids control efficiency. EnerSEAL features an optional inhibition package to reduce swelling and dispersion of clays and lower fluid loss.